DemoCurmudgeon: Anti-Trump Wisconsin Republicans Hatch Plot? 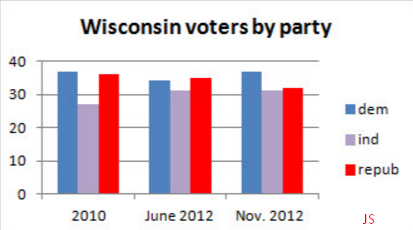 While Wisconsin may be considered a purple state, it's managed like it has only one legitimate ruling authority. The rise of the right wing authoritarian movement in Wisconsin has hatched a rogues gallery of "pricibled" leaders intent on cleansing the country of any and all of its socialist inclinations. Inside the plot to ‘save’ the GOP from Trump — with Paul Ryan’s help if a group of renegade delegates from the speaker’s home state of Wisconsin gets its way, Ryan’s duties won’t stop there. He will also, they hope, allow his fellow Wisconsinites to block Trump from winning the nomination. Can these Cheeseheads really overthrow Trump at the convention? 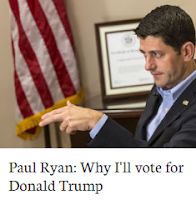 And will Ryan, who officially supports the presumptive nominee, actually wade into a civil war on the convention floor and deliver the Donald’s deathblow? Eric O'Keefe? That lying sociopatht? The Donald should go look up that money-launderer's record from the John Doe trial, and remind the national media how dirty that lowlife is. It'd also play into the Donald's "Look at how bought these people are" meme. Time for SCOTUS to pull the trigger, and have the case be heard. In fact, you have to wonder if some of this "Stop Trump" stuff is a last-ditch effort by the Kochs (O'Keefe's real employer) to keep things from blowing up on them. Would this drive Trump into a third party run on his own? He would have a legitimate arguement that this tactic by the party is against the will of the voters.